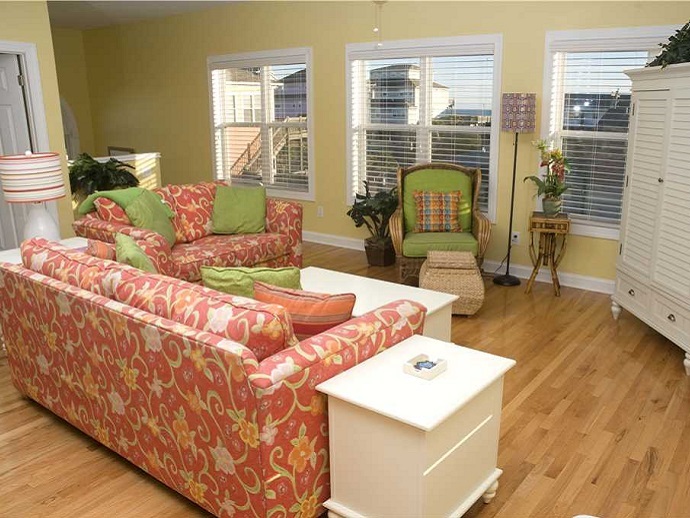 Everyone will be (key lime) green with envy when you stay at this week’s featured property, Key Lime Retreat. There’s a lot to be envious of starting with the five bedrooms and four-and-a-half bathrooms. Two of the bedrooms are master suites. In the bedrooms you’ll find two king-size beds, three queen-size beds, two sets of bunk beds and a queen-size sleeper sofa – there’s more than enough room for your family and friends. This rental features Sand Castle Club Linen Service, which includes luxurious linens, plush towels, elegant toiletries, a custom tote bag, a starter pack of sundries and more. You’ll have everything you need for a relaxing vacation! 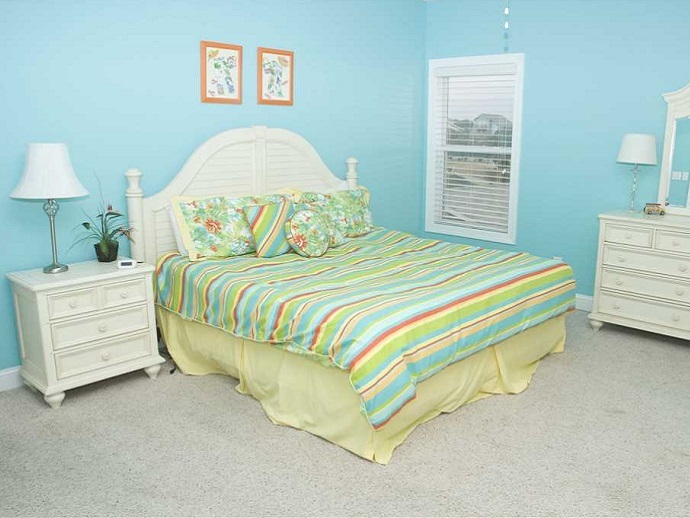 Key Lime Retreat, located on the third row on Connie Street, also features a large 11-foot by 20-foot swimming pool and is about 100 yards from the beach – just a short stroll to the breathtaking emerald water! You’ll also find a charcoal grill, enclosed hot/cold shower and porch furniture where you can sit and soak up the sun. You’ll want to spend just as much time inside as you do outside; this rental not only has a large living area but also a spacious recreation room on the ground level with a pool table, TV and second refrigerator. 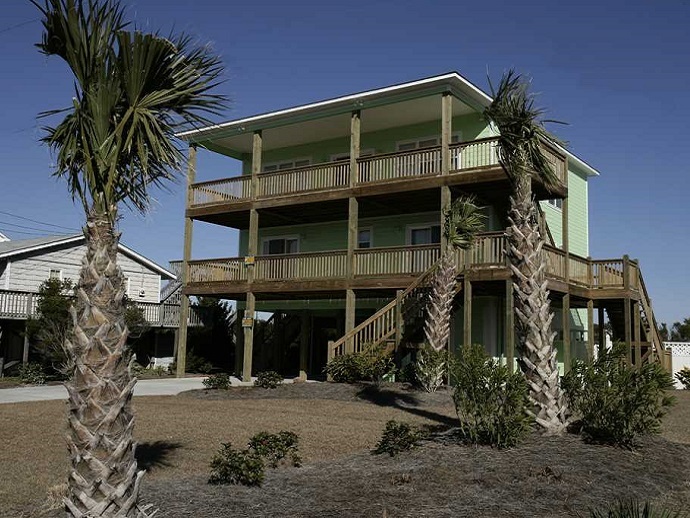 For more information on Key Lime Retreat, call Emerald Isle Realty at 855-891-1962 or visit us at www.EmeraldIsleRealty.com.  View more photos of this rental and read customer reviews below.